A 5 day one way small group tour starting in Port Elizabeth and ending in Cape Town. Highlights include: Jeffreys Bay, The Garden Route, Oudtshoorn & Cape Agulhas (the southernmost point on the African continent). 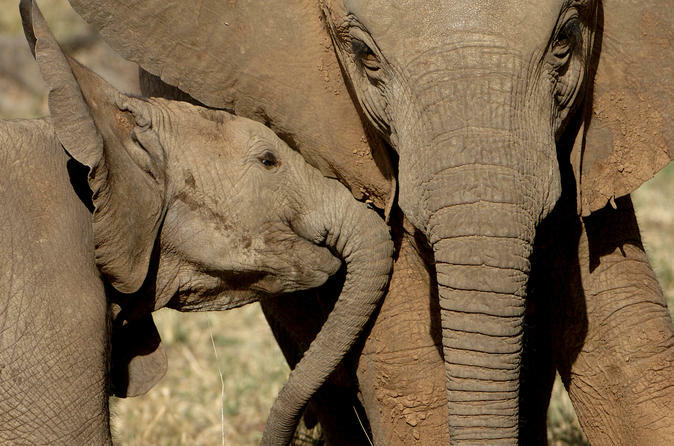 Optional Addo Elephant Park Safari. After being picked up at Port Elizabeth port, head to Amakhala Game Reserve near Addo Park for a day in the bush, leaving your troubles behind. Meet at Reed Valley for orientation and welcome drinks, followed by a game drive discovering wildlife and enjoying spectacular views, descending into the Bushman’s River Valley. Enjoy a scrumptious lunch, delighting in authentic African cuisine with a mouth-watering buffet served in the true African way, before departing on a peaceful 45-minute river cruise. After the cruise, enjoy a second game drive through other parts of the reserve, slowly making your way back to Reed Valley. 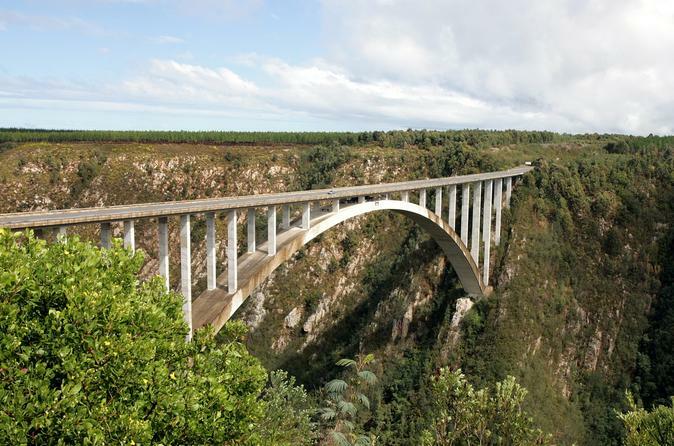 The Garden Route is ideally explored on a luxury coach road trip. You can sit back and relax and enjoy the incredible scenery of the Tsitsikamma and Outeniqua mountain ranges which run parallel to the stunning southern Cape coastline and harbor large stretches of indigenous hardwood forests and expansive lagoons. 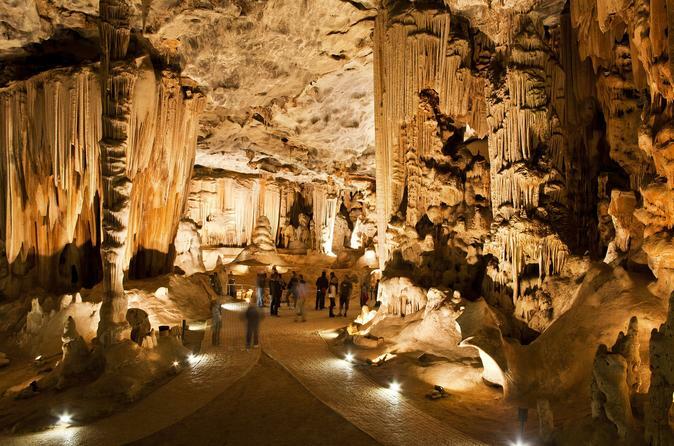 Explore the Garden Route and its abundant attractions in just four days. 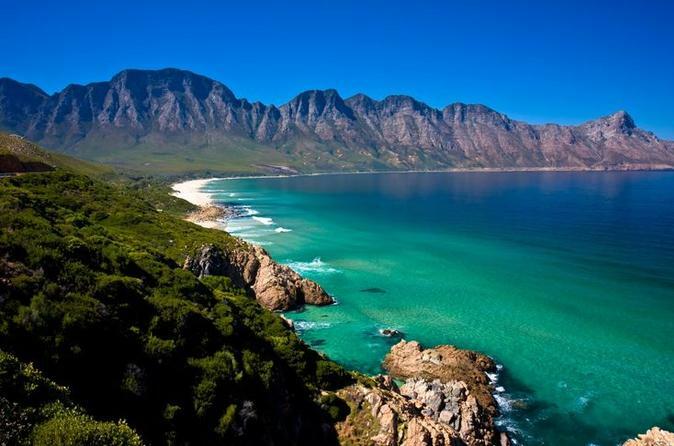 Experience the highlights of the Garden Route, traveling from Port Elizabeth to Cape Town in this four day tour. Visit Tsitsikamma National Park en route to the quaint holiday town of Knysna. Enjoy the bright greens and blues of the forests and lagoons and the evocative landscapes of the Klein Karoo and Oudtshoorn. 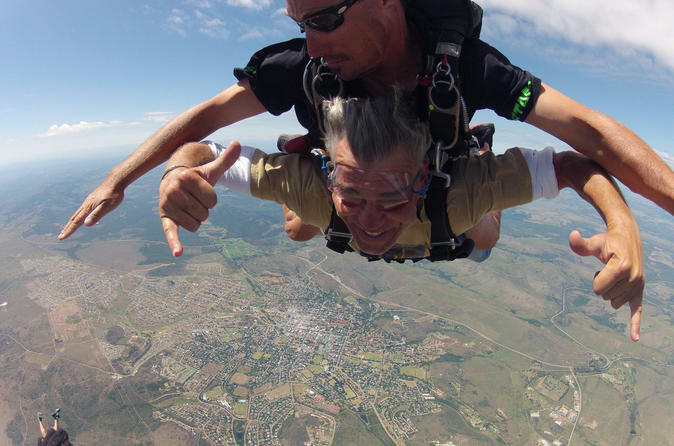 Experience a skydiving adventure a stone’s throw from the historic city of Grahamstown—a charming town situated half-way between East London and Port Elizabeth. Enjoy the exhilarating feeling of freefall and the serenity of a parachute ride. 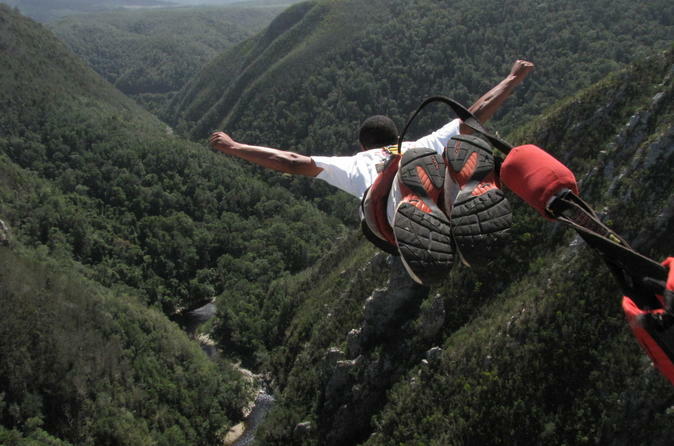 Freefall over the historical city of Grahamstown in Settler Country with the view of many world-renowned game reserves below. 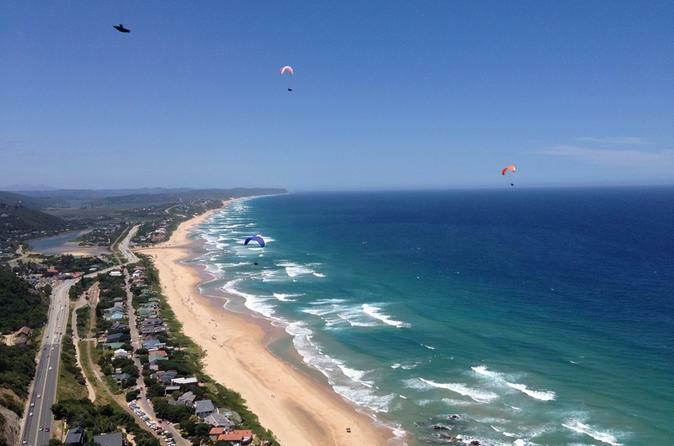 You’ll also be spoilt with spectacular views of the Indian Ocean to the east and the snow-capped mountains of the Winterberg to the north-west. Expect true South African country hospitality with highly skilled professional skydivers with thousands of jumps behind them. Get ready for the ride of your life! 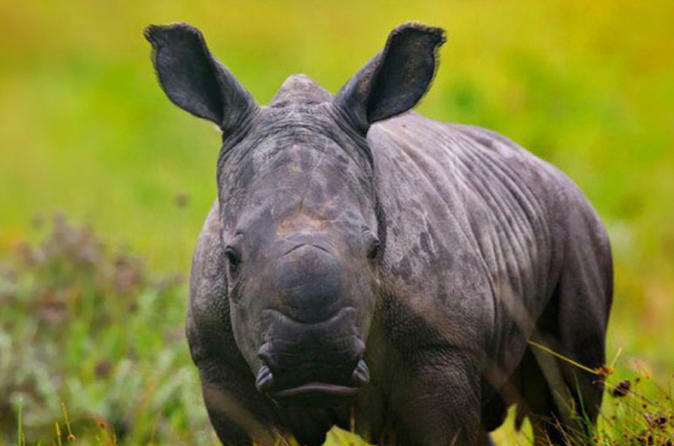 Lush coastal forest and grassland are home to vast herds of African game, including White rhino, buffalo, cheetah, giraffe, zebra, Nyala, Bontebok, Lechwe and many more species. All the animals roam freely and unrestricted in their natural surroundings. This owner-operated animal-friendly park – where no hunting or other disturbance of game is permitted – means that you always get close-up views and great photo opportunities. Enjoy a chauffeured drive through the park in a luxury air-conditioned vehicle (no need for 4x4) and enjoy viewing game in any weather conditions from the comfort of the luxury vehicle. 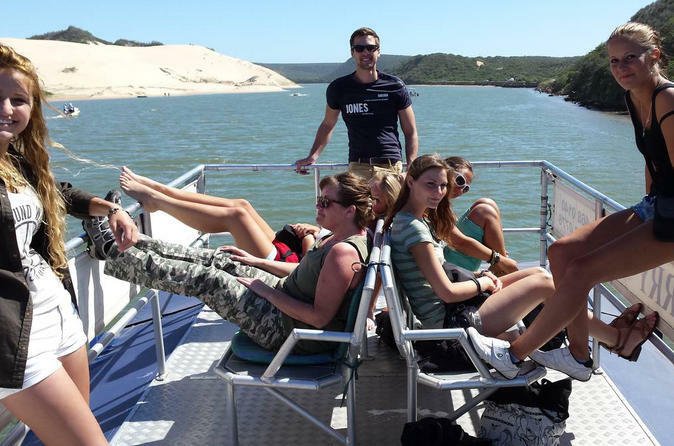 Hop on the Sundays River Ferry and experience a slow and leisurely 2.5 hour cruise on the magnificent and breathtaking waters of the Sundays River estuary – one of the top-rated estuaries in South Africa. 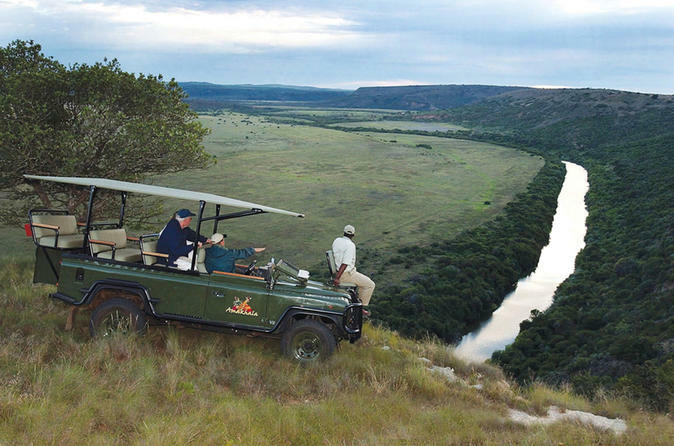 Search the unique river banks, bush and reed beds for a wide variety of bird life and smaller animals like the Duiker, Bushbuck or stately Kudu. The river is a bird watcher’s paradise. Look out for surface-swimming mullet fish, and for the chance of viewing the elusive Water Monitor or Likkewaan. Experience this unique river cruise along the Sundays River while taking in the wonderful scenery and beautiful houses and holiday cottages hugging the river banks. The cruise makes its way to the river mouth to view the majestic Alexandria coastal dunes, where the boat stops and allows guests to disembark and climb the dunes or even have a swim. Enjoy an action packed small group tour while exploring the world famous Garden Route, one of South Africas most scenic areas. Soak up the awe aspiring beauty of this magical coast line as you discover why this area has been given the nickname the 'Garden of Eden' These tours depart on Fridays from Port Elizabeth and surrounds and return on Sunday evenings.